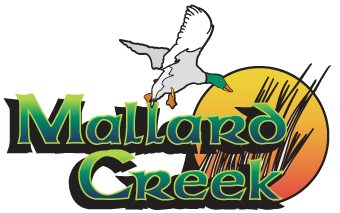 In 1992, we opened our doors for the first time here at Mallard Creek. Over the past 25-years, it has been a pleasure and a privilege to serve and get to know all of you. As a celebration of our 25-year anniversary, we decided to the best thing we know how: Host a fun-filled day of golf complete with gift bags, lunch and dinner, prizes, giveaways and more! Format: 4-person scramble. Women will play from the red tees, seniors (65+) from the yellow tees and men from the white tees. Food: Enjoy a steak dinner as well as a hamburger / Italian sausage lunch. Prizes: 1st, 2nd and 3rd place teams will win a bevy of prizes. Also, there will be closest to the pin contests on every par 3, long drive contests and longest putts. Each contest will have a winner for women and men. There will also be an optional skins game for $30 per team. Cost: $100 per player or $400 per foursome includes 18-holes with a cart, lunch, dinner, gift bag and automatic entry into door prize giveaways! Every participant will automatically receive a FREE 18-hole green fee to come back out and enjoy the course again in 2017. Even better, every participant will also be entered for a chance to win a 2018 Fairways Golf Membership! To get in on the fun, you can register you and your team online by clicking here, call us at (440) 748-8231 or swing by the pro shop and register in person. * All teams must be paid in full by Saturday, June 25th.